Seattle’s music scene is vibrant and thriving. In 2015, Seattle City Councilmember Nick Licata was a co-sponsor of the Fair Trade Music day resolution. 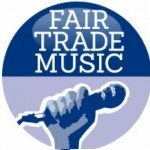 The former City Councilmember discusses the Fair Trade Music Seattle campaign from a public policy perspective. This segment originally aired in 2015.